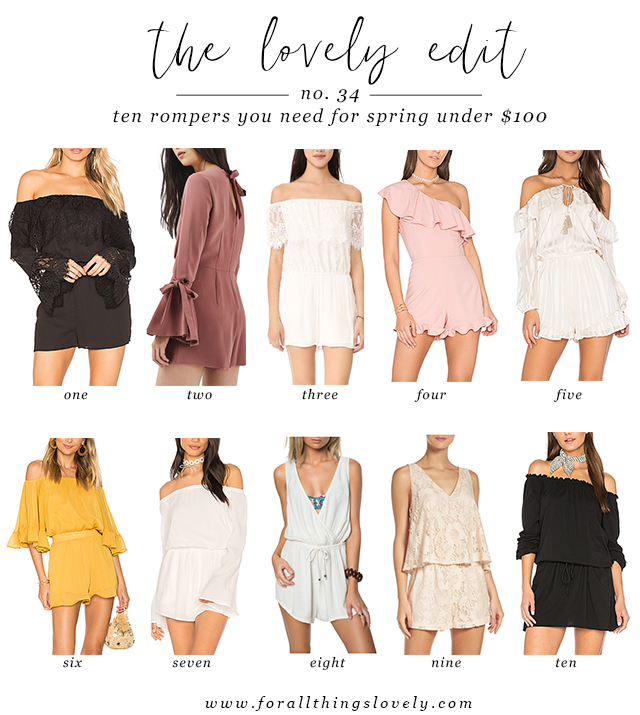 With a few warm weather trips in my future, I have my eyes set on every one of these super chic rompers. I typically don't like to spend a ton on a romper, unless it's something for a special occasion, so under $100 is definitely do-able. I love how all of these picks can be easily dressed up or down making them perfect for a casual day out or a fun dinner with friends. I mean, I don't wear yellow often, but I freaking LOVE number six. It's SO, so cute! Loving the yellow OTS romper, such a pretty color! I LOVE this list!! #9 is definitely my favorite. Bookmarking this to refer to when I need an outfit for my birthday in June! My faves are numbers 3 and 9!